Update: A memorial for Don Obe will be held on Friday, November 21, in the East Common Room of Hart House at the University of Toronto, from 5:30-8:00pm. All are welcome. With great sadness and yet also inspired by the outpouring of remarkable tributes to a titan of Canadian magazine journalism, we remember the life and career of Don Obe, who passed away Friday. A former recipient of the NMAF’s Foundation Award for Outstanding Achievement (1993) for his remarkable contribution to the Canadian magazine industry as an editor, writer, teacher and mentor, Don was beloved by countless colleagues and students at Ryerson University where he oversaw the j-school program and the Ryerson Review of Journalism. Before joining the faculty of Ryerson, where he taught many of Canada’s brightest journalists, Don was associate editor at Maclean’s and editor-in-chief of The Canadian and Toronto Life. In 1983 he became the chair of Ryerson’s journalism program where he founded the RRJ in 1984 and established it as Canada’s premier student magazine. He also won a National Magazine Award for Religious Journalism in 1982 for his story “The Dissident Rabbi” (Toronto Life). From 1989-1999 he was a resident editor of Creative Nonfiction at the Banff Centre for the Arts. He retired from Ryerson in 2001 but remained a mentor and inspiration to many. Don was one of the great characters of modern Canadian journalism. He could be funny, biting, sweet, profane, hard-assed and kind, sometimes simultaneously. He was, for decades, the kind of journalist about which movies are made: hard-drinking and irascible with a soft heart. He was an important mentor of mine, as a writer, editor and, especially, as a teacher. But do you know what really matters? I owe everything I know about the soul of journalism to him. I met Don Obe in 1974. Today, I was with him shortly before his death at 78. In the intervening 40 years he had a substantial impact on journalism–particularly magazine journalism–in this country. I join many of his former students at Ryerson, his writers at the Banff nonfiction program and his colleagues in the business in remembering Don as the trailblazer he was. I still hear him in my head: “Magazine writing is an intellectual exercise: it involves a lot more thinking than anything else”; “If you can’t write better than other people talk, you’re in the wrong business”; “Style at the expense of clarity is a waste of words.” But quoting his advice does nothing to capture his passion for journalism and writing, especially narrative non-fiction, or his love of sharing that passion. 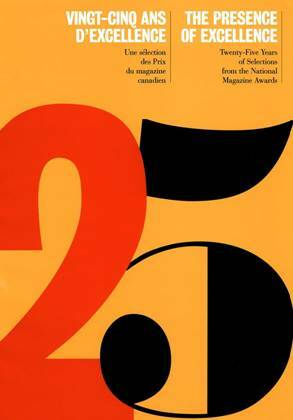 Don was also the editor of the National Magazine Awards 25th anniversary anthology in 2002. Our thoughts are with Don’s family and friends, and the National Magazine Awards Foundation is honoured to be among those who have been touched by and celebrate Don’s life and achievements, and the impact he made on Canadian magazine journalists. The Ryerson School of Journalism has announced that a memorial for Don Obe will be held on Friday, November 21 in the East Common Room of Hart House at the University of Toronto, from 5:30-8:00pm. All are welcome.